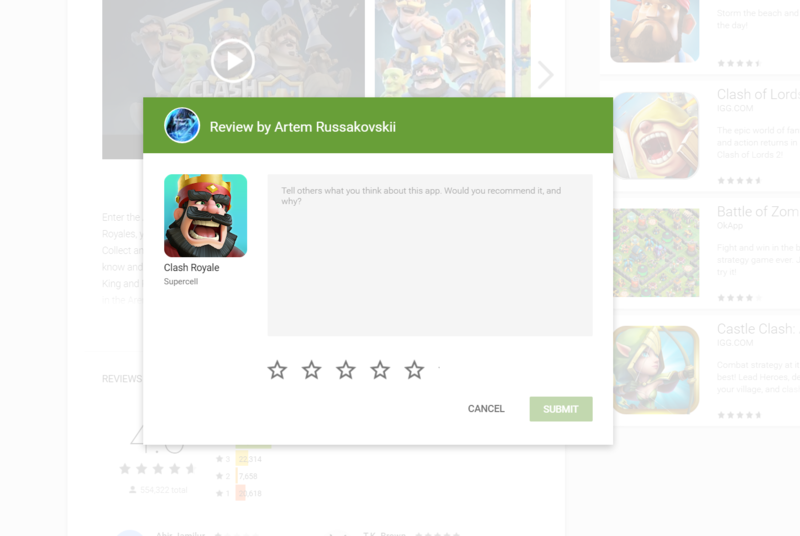 Earlier this month, Google began testing a new look for the review interface inside the Google Play app. The designers took away a dialog box and embedded it directly in the page. In the process, they removed the space to insert a title. Now we're seeing this new look make its way to the web version of the Play Store as well. It's not a complete copy, but the functionality is the same. The title box is gone, leaving you with space to pick up to five stars and describe your experience. The new look is showing up for us, so chances are, you should see it now. Go leave a review on an app that you've installed to find out.